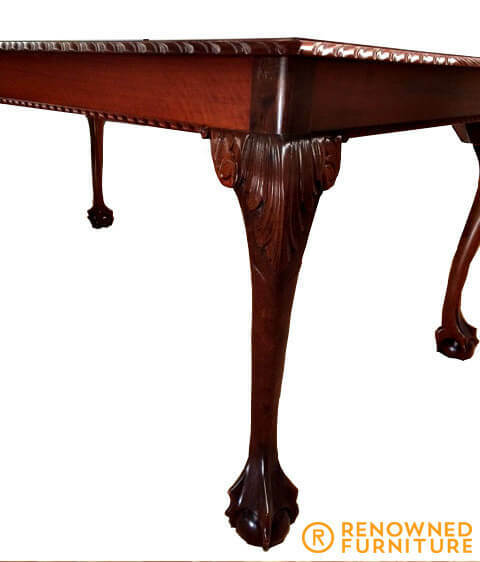 This gorgeous Chippendale table was damaged by water. 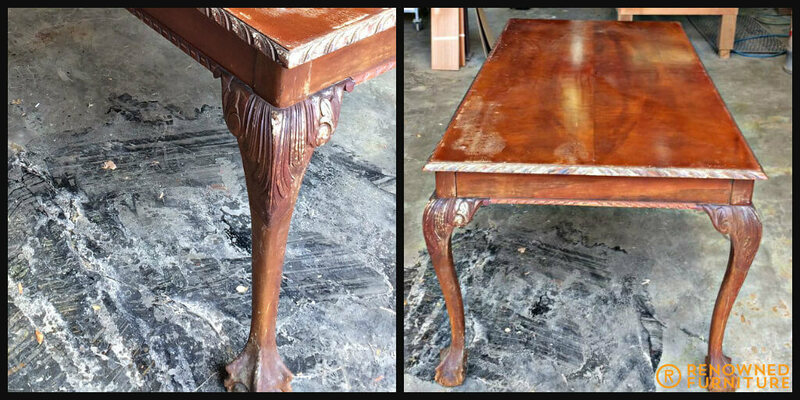 We repaired the damage to the foot, sanded it back and refinished it. After our boys did their magic, this piece is ready to go back home looking clean and brand new again. 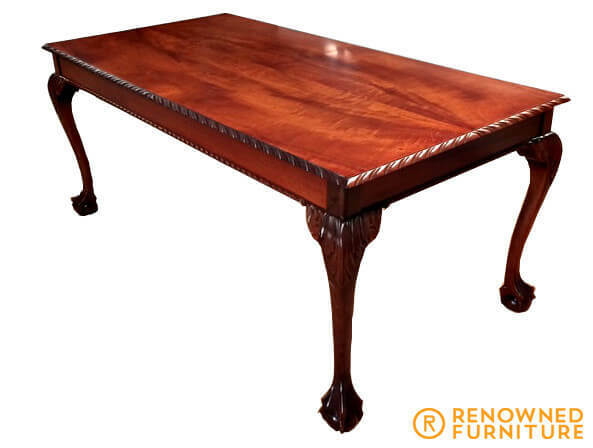 Often called the Royalty of Antique Furniture, Chippendale furniture create a sophisticated and elegant vibe in any room. 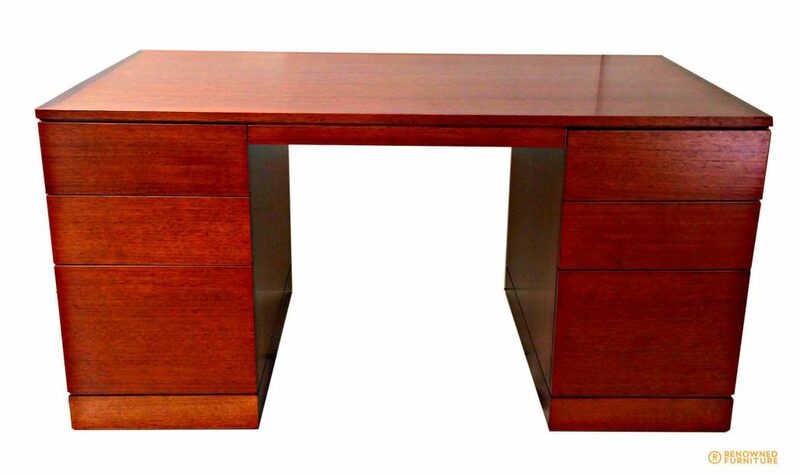 If you have the real thing and not an imitation, it is important to always keep it in good condition. Don’t place it in direct sunlight, as this can cause fading in the wood’s colour. In addition, avoid placing them near fireplaces or radiators. 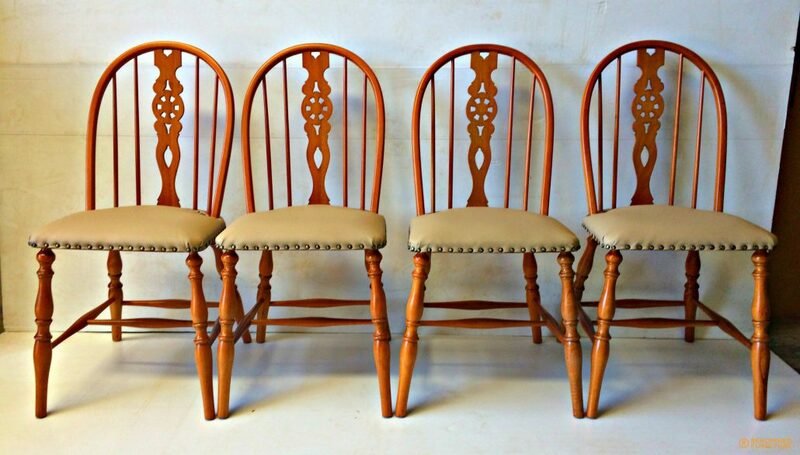 Putting hot dishes directly on top of your Chippendale furniture is a huge no-no. 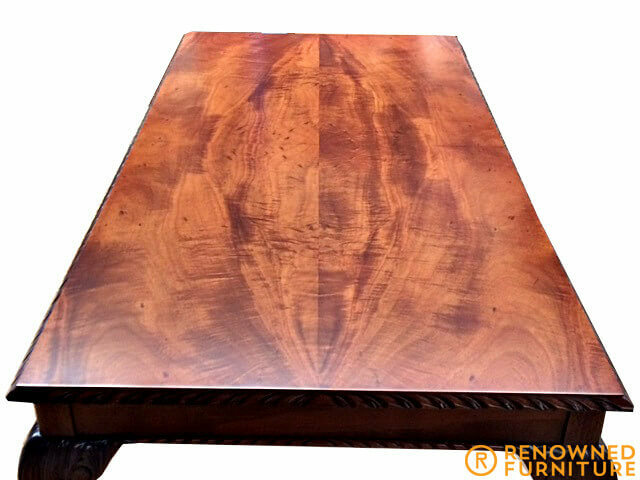 Use coasters lined with smooth materials like felt because any other may damage or scratch the wood. 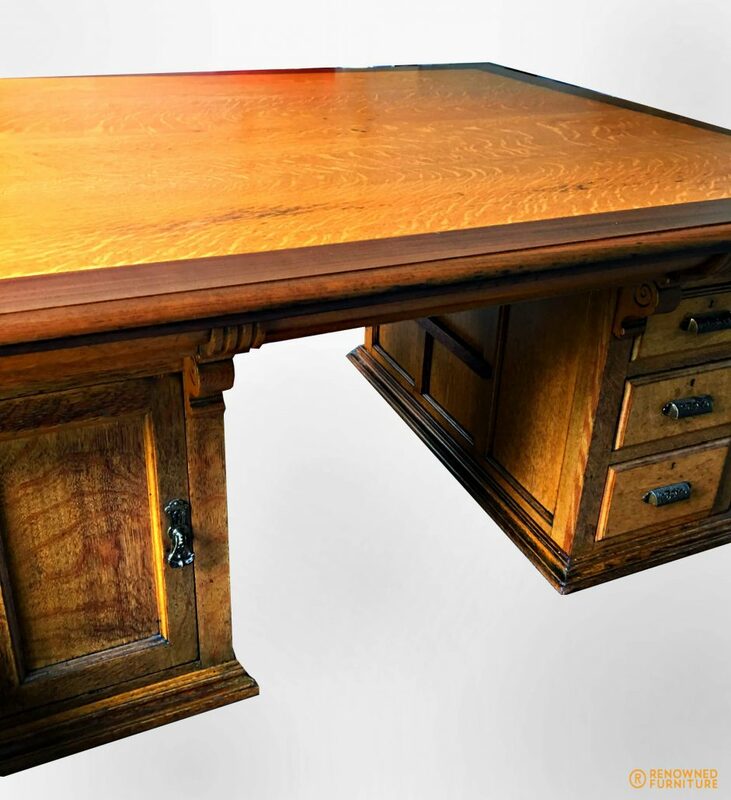 Maintain its sheen by giving it a regular polish to prevent it from appearing dull and unappealing. 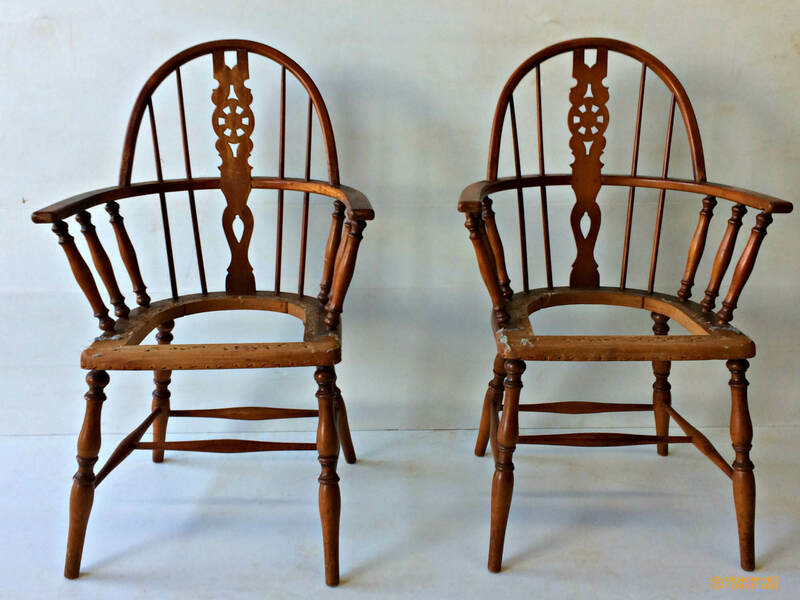 If you have an old Chippendale, call on the experts like Renowned Furniture. 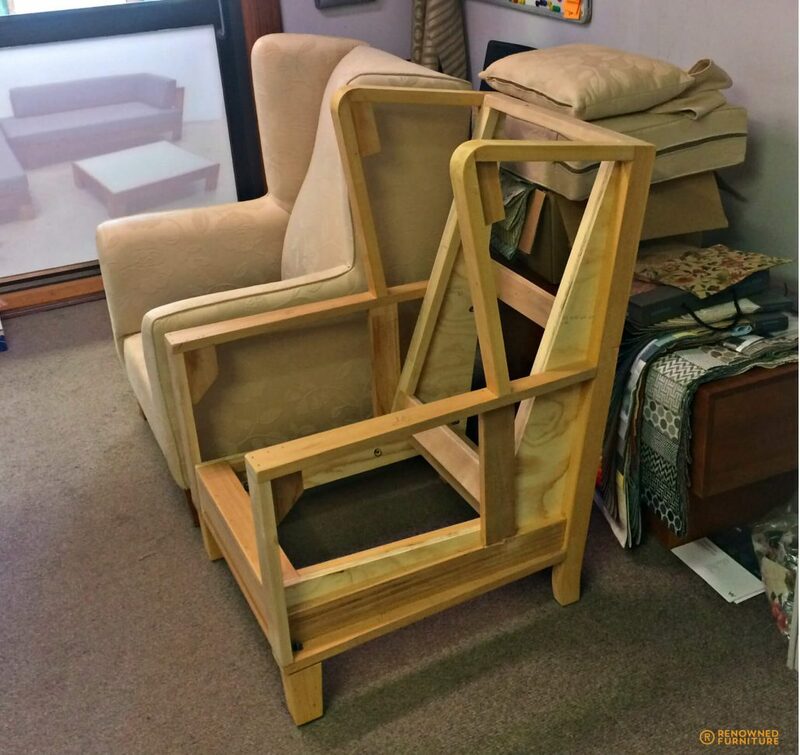 We will restore your furniture and return it like nothing happened. 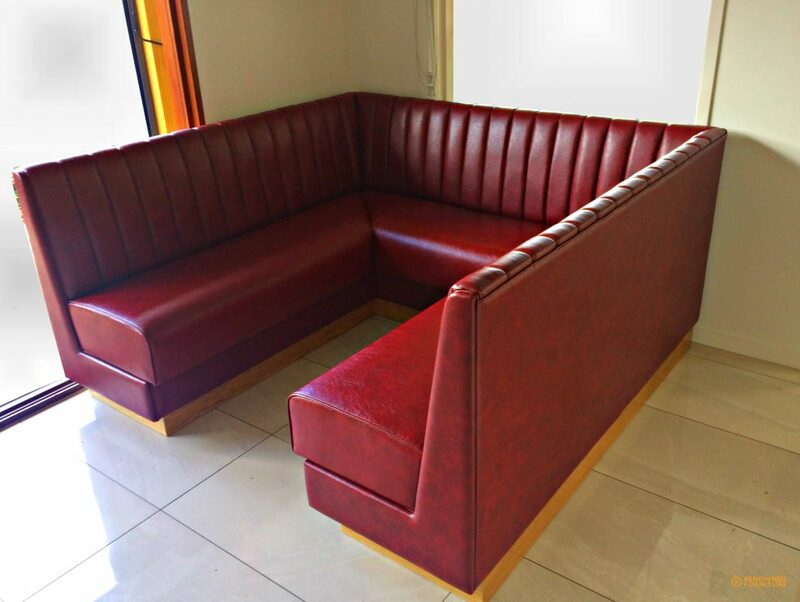 Once again, Renowned Furniture has come to the rescue of furniture damaged by water and force brought about by a strong cyclone. 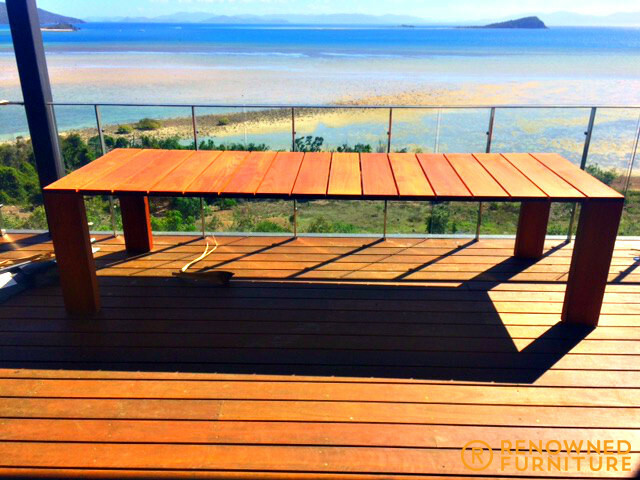 Category 4 Cyclone Debbie hit the Whitsunday Region in North Queensland in March 2017, but 10 months later the damage it caused is still being repaired. One of the hardest hit areas was Hayman Island. Because of the damage from Cyclone Debbie, Hayman residents are still rebuilding and the resort will not open until late 2018. 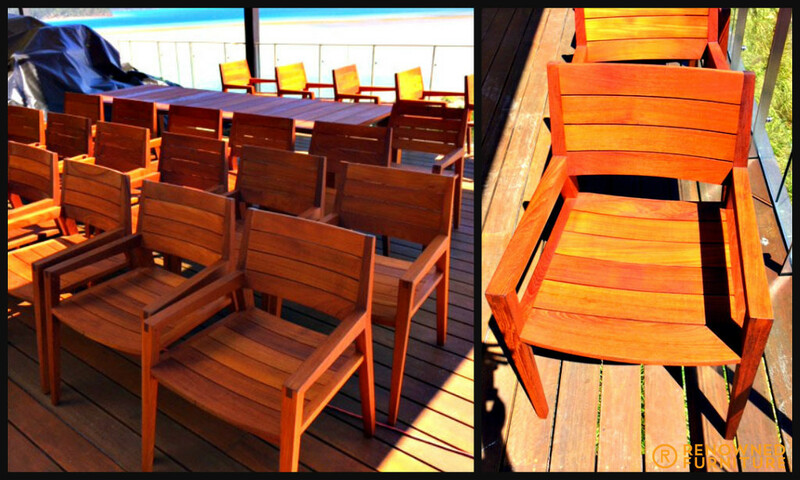 Renowned Furniture is proud to be a part of this beautiful island’s restoration. 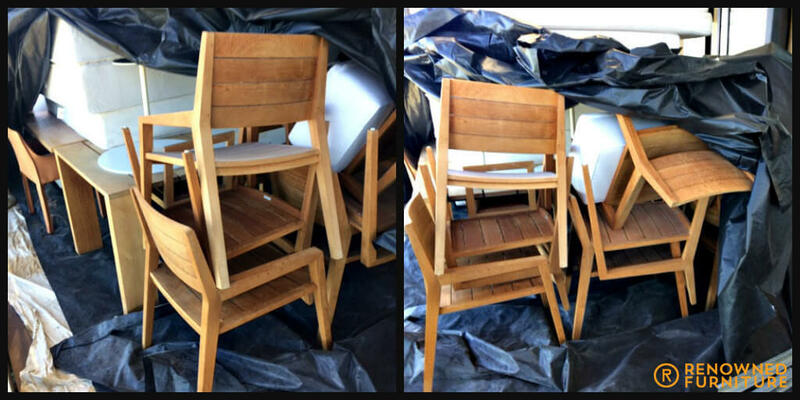 We had been called upon to repair and refinish outdoor chairs and tables damaged by the cyclone. This was an insurance job that hardly seems like work with a view like this! As you can see, the end result was fantastic. 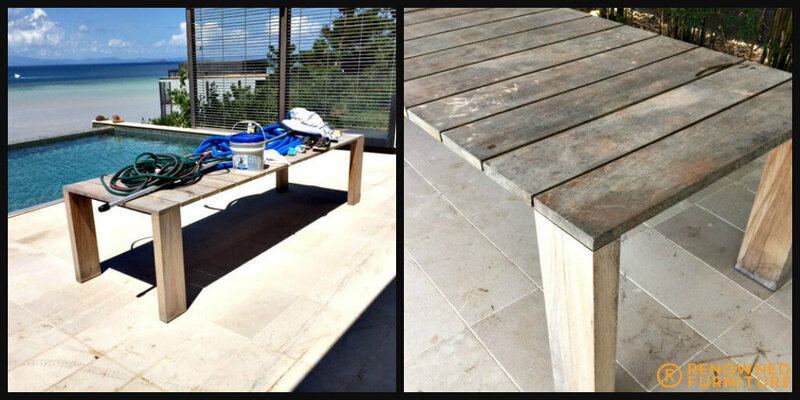 Another job well done by our talented master craftsmen! 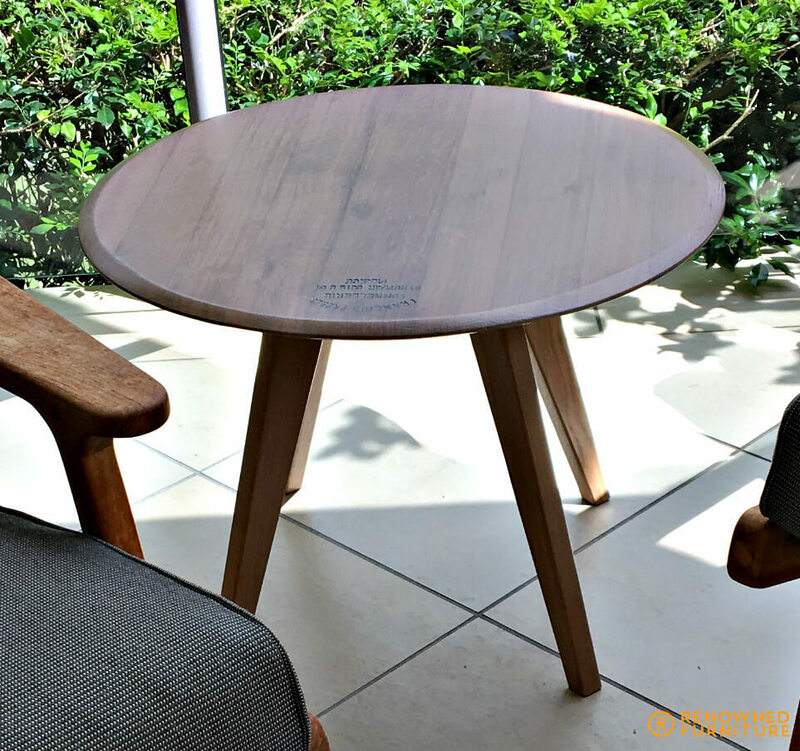 One of our repurposed furniture jobs – a coffee table made from an old Lazy Susan. 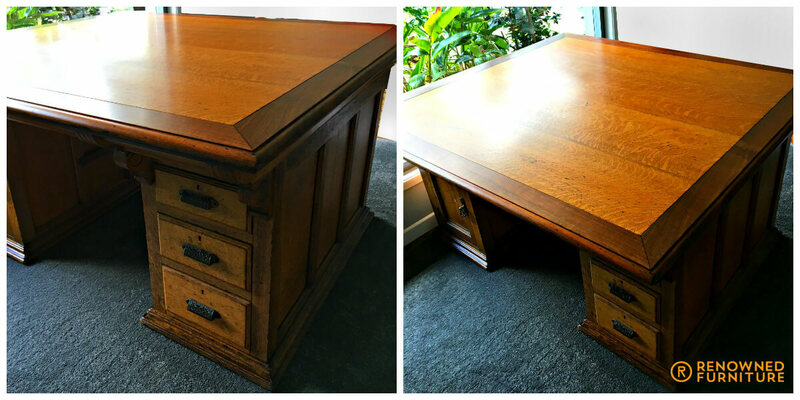 Don brought this solid old partners desk in for a refresh after being exposed to some moisture in storage. Now, it’s looking brand new again! 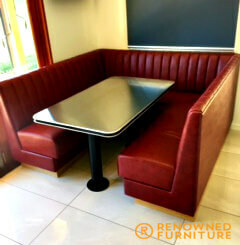 Something a little different for us to do – a dining booth! Ken always wanted one, and now he does. Glad we could help. 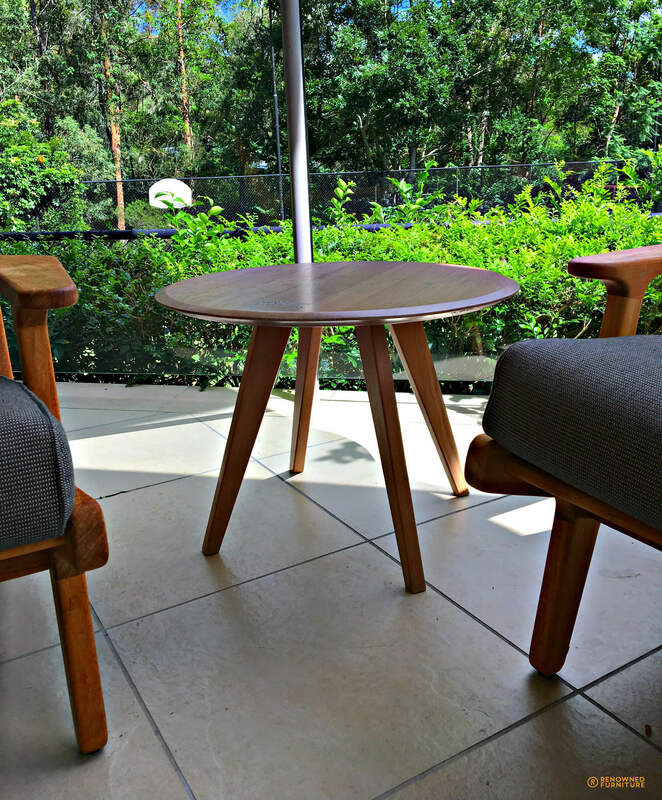 Here it is again with the table that we also made. 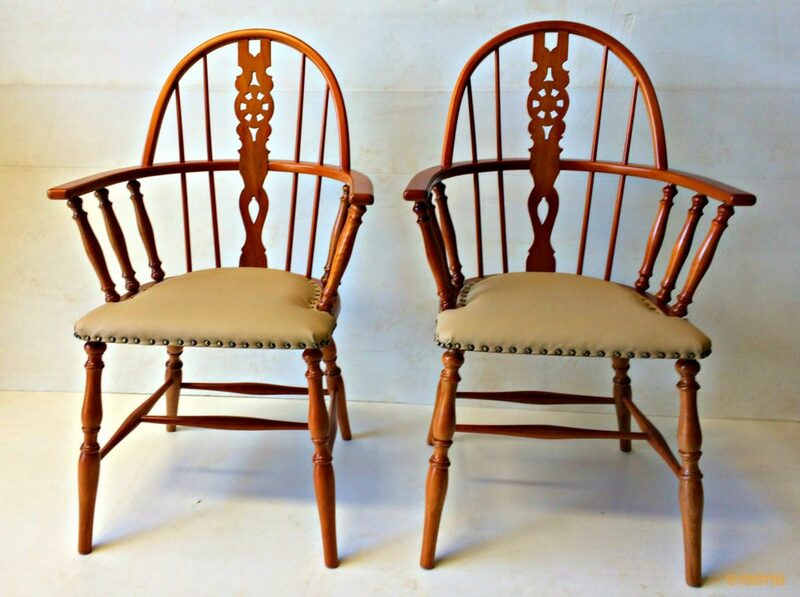 Here are Suzy’s dining chairs – fully restored and looking brand new again. 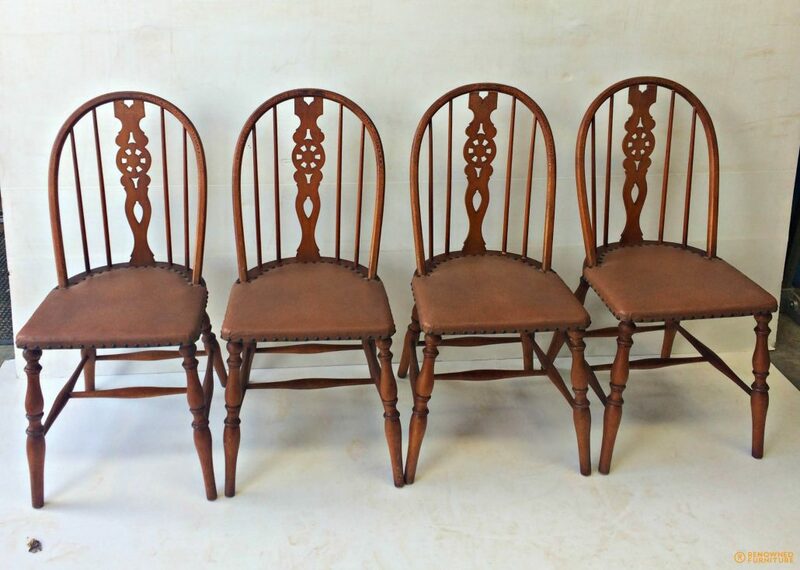 Six dining chairs are to have full restoration after a very hard life, showing heat affected polish and also a bit rickety. Stay tuned! 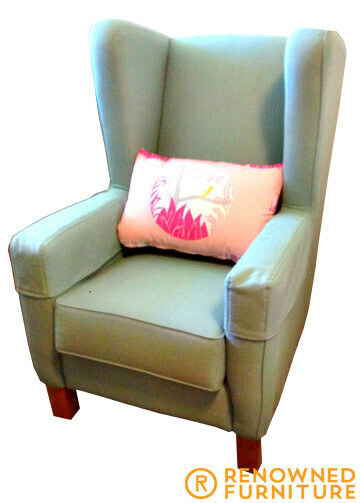 Here is the finished wing back chair! 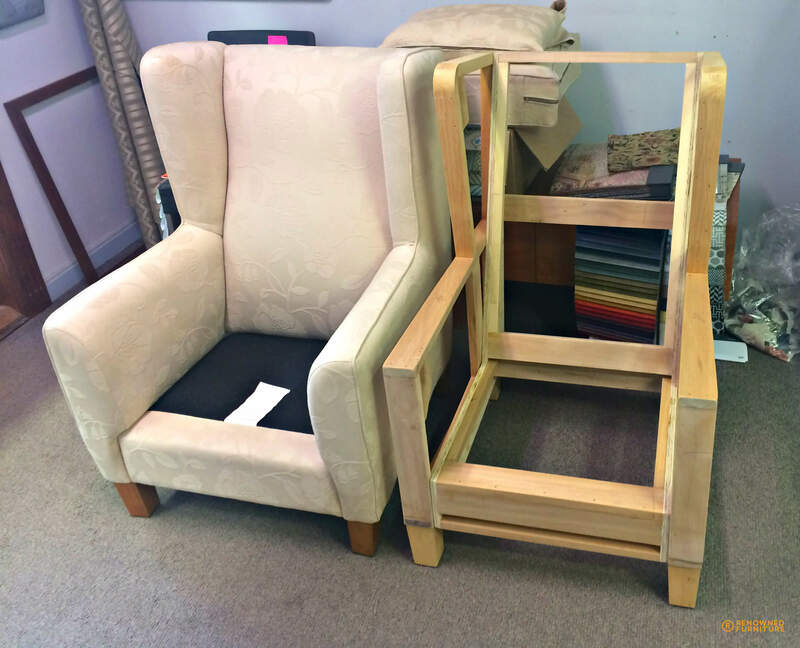 Progress shot of a wing back chair. We are making a slightly modified copy of the one in the left of the photo. Watch out for the finished product!